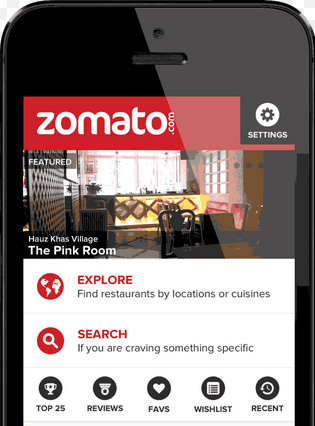 Zomato, an online and mobile restaurant search and discovery service, has updated its iOS app to make it compatible with the recently released iOS 8. This move is aimed at further improving user experience when using the app. Zomato has recently unveiled the latest update for its iPhone app, incorporating iOS 8 features and a series of new features that make the service more social. The updates will also be available for Android, Windows Phone and web soon. Building on its distinctive social layer of restaurant discovery, these features aim to enhance the in-restaurant dining experience for the rapidly growing number of users being served each day. “Given that people are now viewing information on-the-go more than ever before, mobile has become the focal point. Our iPhone app, built to include iOS 8 features, will bring to our users a whole new and efficient way of deciding where to go and what to eat,” said Deepinder Goyal, founder & CEO of Zomato. The new features now enable a single checking-in at a restaurant; tagging of friends in reviews, comments and photographs; and creation of bookmarks of one’s favorite or frequented food joints, among other improvements. Going forward, these social updates will tie in to the user’s activity on Zomato and facilitate creation of a detailed Food Journey. 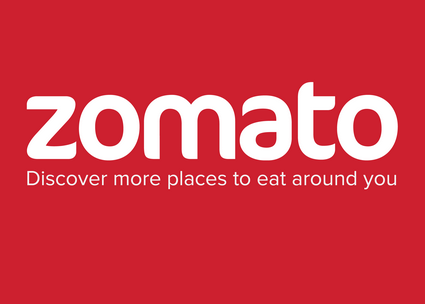 • iOS 8-ready- Zomato is now iOS 8-ready, with a better all-round performance making ample room to focus on eating. It includes native features like custom notifications that are built for iOS 8. • Check-ins: These enable a simpler interaction with restaurants, offering handy tips and information about a restaurant from trusted friends in one’s network, as well as helping people share their dining experiences easily with photos and reviews. The check-in feature also enables people to tag friends they’re eating or having drinks with in reviews, comments, and photo captions, further widening the ambit of restaurant discovery. • Food Journey: Every user’s individual activity on Zomato has been plotted on a chronological timeline – the Food Journey – highlighting all their food moments right from the day they signed up on Zomato to their latest meal. • UX Improvements: The latest update comes with a lot of design improvements, making the product simpler to use. The search bar and search results have been revamped, making restaurant search quicker, even when searching across locations. • Bookmarks: Bookmarks is a one-stop for one’s favorite or frequented restaurants, as well as the ones they want to try out. The existing Wishlist and SpeedDial features have been rolled into Bookmarks, which can be accessed on the Zomato mobile apps even if the device is not connected to the internet, allowing people to dial restaurants without any hassle. “We’re constantly looking for ways to enrich the restaurant experience for our users by providing, quite simply, an all-round dining experience – right from discovering a great place in the neighborhood, to checking-in along with friends, uploading pictures during a meal, and signing off with a review, which eventually helps people make the right dining choice,” added Deepinder. Zomato is an online and mobile restaurant search and discovery service, providing in-depth information for over 260,000 restaurants across 15 countries. Zomato's core content features include menus, photos, and geocoded coordinates for restaurants; users can rate and review restaurants, as well as create their own network of foodies. Zomato currently serves over 25 million monthly users globally, who use the website and mobile apps to search for places to go out for a meal, get home delivery, catch up at a café, or enjoy the local nightlife. A highly targeted platform makes it convenient for restaurateurs to interact effectively with customers searching for dining options. Zomato was founded in 2008 by Deepinder Goyal and Pankaj Chaddah. The company is present in over 100 cities across India, the UK, the Czech Republic, Slovakia, UAE, South Africa, New Zealand, the Philippines, Portugal, Brazil, Chile, Turkey, Indonesia, Sri Lanka, and Qatar.